A partnership of students, parents and staff committed to creating an environment where students become lifelong learners. 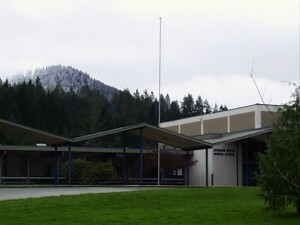 Spencer Butte Middle School provides a student-centered environment with many enrichment opportunities. Our school culture fosters respect and achievement, encouraging students to flourish during these challenging middle years. Our dedicated staff accommodates individual student’s needs to reach their full potential through a combination of integrated hands-on projects, involvement in a comprehensive arts program and academic skills instruction.